Regain Your Vitality, Energy and Well-Being! Our practitioners identify and alter hormone imbalances, inflammation, adrenal stress, metabolic and detoxification problems. As we alter these processes, we actually rejuvenate and increase energy, leaving the body balanced and supporting healthy aging. When I founded LifeSteps Health & Wellness Clinic, it was with the understanding that we could revolutionize modern medical practices with a system based on preventive medicine in addition to traditional forms of treatment. My personal philosophy of medicine is that the role of a doctor is to prevent illness, not just treat it. My passion is combining complementary and traditional medicine in order to help my patients achieve optimal health. I have had a private practice in the Milwaukee area for more than 30 years. I am well respected for forming a partnership with patients that encourages sound nutritional practices and healthy lifestyle behaviors. 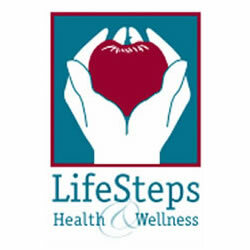 At LifeSteps Health & Wellness Clinic patients are encouraged to explore the benefits of detox therapies, weight loss programs, quality supplements, and supportive modalities to reduce stress, increase energy and set the foundation for healthy aging. As a Certified Menopause Practitioner with the North American Menopause Society, Dr. Stula utilizes bio-identical hormone therapy, when appropriate. He treats thyroid disorder and adrenal fatigue for both men and women. He has appeared on television and he presents lectures to physician and community groups. Dr. Stula is an active medical staff member of both St. Luke's and St. Francis Hospitals. Dr. Stula follows principles of Functional Medicine in his approach to patient care. Functional medicine is personalized medicine that deals with primary prevention and underlying causes of illness. Functional medicine is anchored by an examination of the core clinical imbalances that underlie various disease conditions. Those imbalances arise as environmental inputs such as diet, nutrients (including air and water), exercise, and trauma are processed by one's body, mind, and spirit through predispositions, attitudes, and beliefs. Please call 414-906-1998, or visit http://www.ladeamedispa.com for more information.